Shower heads come in a wide range of styles and design making them perfect for adding to any bathroom to create a stunning unique look. 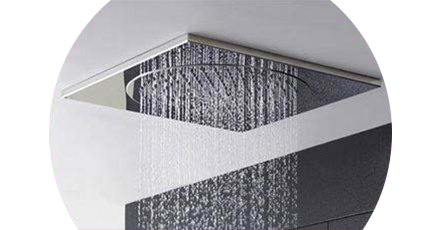 Whether you're buying new or replacing an outdated shower head you'll find what you need here. Upgrading your existing shower head for a more stylish option can really transform the look of your shower. It is a quick and easy way of refreshing your bathroom without breaking the bank. We have replacement heads to suit contemporary and traditional themes and they are sure to breathe new life into tired old fixtures. With a range of rainfall shower heads and LED shower heads available you can add style or luxury comfort to your bathroom or shower. Our range of shower heads runs from simple, standard designs to large shower heads and multi-function heads with massaging capabilities.